Hunter Park - Free, Located in West Valley City. Sledding hill near baseball fields. 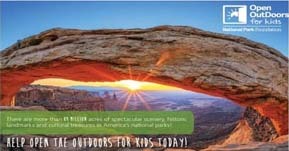 Flat Iron Mesa Park - Free, Located in Sandy. Very popular! Donut Falls - Free, Located in Big Cottonwood Canyon. 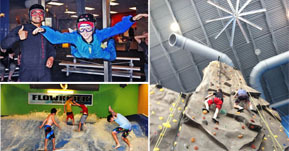 Get tons more info over at Utah Adventure Family. USU Old Main - Free, Located on USU campus in Logan. Very steep. Fairview Canyon - Free, located 1-2 miles past Huntington Reservoir. Brian Head Resort - $, Located 3 miles north of Cedar Breaks National Monument, Brian Head Resort has sledding near the Giant Steps Lodge and Navajo Lodge. See their website for more info on cost and hours. Sand Mountain - Free, Located in the Little Sahara Recreation Area about 30 miles north of Delta. It is known for summer fun but when covered in snow you can get some serious speed! Check out videos on Youtube (image via DirtBikeUtah) so that you are prepared for the large hills and you may need a motorized way to get back up the dune. Gorgoza Park - $, Located in Park City. Located about 2 miles east of Parley's summit, Gorgoza Park has 7 tubing lanes and a lift to the top! 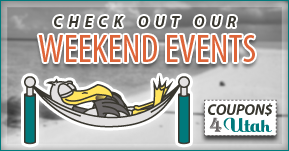 Find prices and hours on their website. - This one comes highly recommended by many people I've talked to! Update: Gorgoza is undergoing renovations and will open Nov 2019 as Woodward Park City. Tibble Fork - $6 fee, Located up American Fork Canyon. There are no official sledding areas at Tibble Fork Reservoir but it is a popular spot to sled. The area was closed for construction in the winter of 2016 but reopened in early 2017. Soldier Hollow - $, Located in Midway. 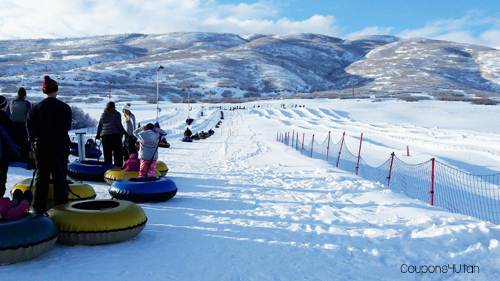 Soldier Hollow is one of northern Utah's most popular sledding locations because of the tow rope that pulls you back up to the top! See their website for price and hours. Mt. Ogden Park - Free, Located in Ogden. NOTE: It's recommended you always wear a helmet when sledding or tubing and make safety your top priority. Never walk on sledding hills, take turns and be sure the sledder in front of you has completed their run before starting out. Building ramps or jumps, or sledding on modified products is not recommended and can result in serious injury. Ask permission before sledding on private property. Sledding and Tubing is at your own risk. 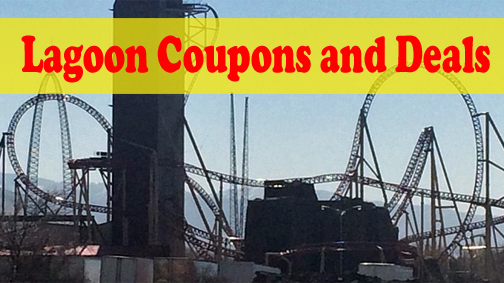 Coupons4Utah is not liable or responsible for your safety and has not verified the safety or conditions of the listed locations. Updated from original posting of December 2012. Thanks so much for letting us know! I will update our list. We like Eastridge park in Sandy. 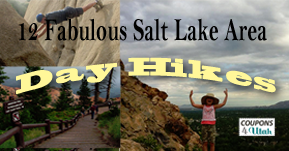 It is located at 12000S and 1000E. It's not really big, mostly for elementary age, but quite popular with the locals.